Well hello once again, Weekenders! It’s a fast-changing world out there. Tornados are now made of fire, the vacuum of outer space is now a battlefield, you now require a mortgage for a parking space, and 3-D printed guns are causing bureaucratic paper jams. But some things you can count on: Like the Weekender bringing you a heaping helping of rock-solid ways to enjoy your next few days. BOYS IN THE HOODS: Globe film critic (of movies both popular and not!) 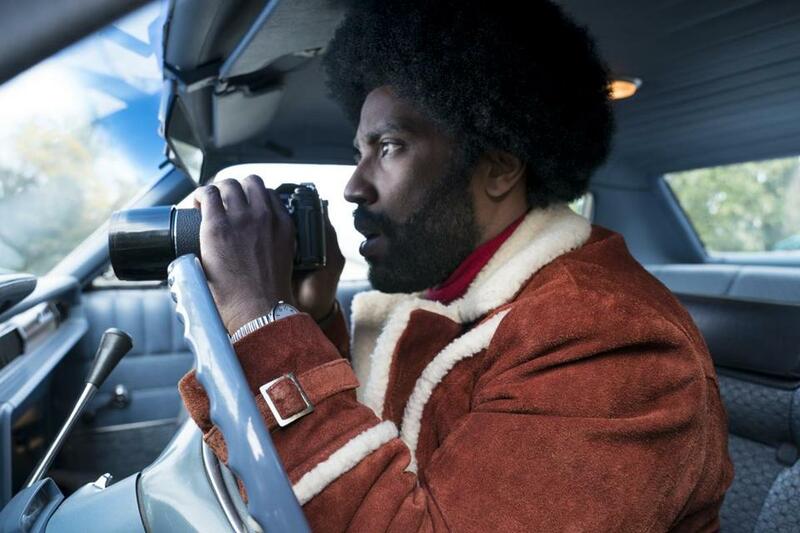 Ty Burr says the story of Spike Lee’s latest film, “BlacKkKlansman,” is “almost too bizarre to believe.” But this true tale of the infiltration and takedown of a Colorado Springs KKK chapter by one Ron Stallworth, a black detective in the late ’70s (here played by John David Washington of House Denzel) is, in Lee’s hands, “a ferocious mix of prankishness and cold fury that is one of the director’s strongest yet most entertaining works in years.” Burr gives it 3½ stars (with an ever-so-slight deduction for a wig that looks like “a beret with a thyroid condition”). Costars include Adam Driver and Topher Grace as David Duke. (And on that note, if you’re going to throw your popcorn at the screen, go easy on the butter.) Now screening. LOW CAMP: Also at (select) cinemas this weekend is “The Miseducation of Cameron Post,” a film unfairly robbed of its momentum by iffy distribution after its breakthrough screenings at Sundance, but now making its way into theaters and the hearts of fans who’ve been waiting to see Emily M. Danforth’s 2012 novel come to life. This adaptation from writer Cecilia Frugiuele and co-writer, director, and Smith grad Desiree Akhavan stars Chloë Grace Moretz as a Montana teen sent to a gay conversion “therapy center.” “In its tactful, observant way,” writes Burr in his three-star review, “the film is unrelenting in assessing the damage that blind faith can wreak on its children and heartening in showing how those damaged find strength in each other.” Now screening. JOEL FAITHFUL: “There have been times when I’ve felt these are my last shows; it’s time for me to get off the bleeding stage,” Billy Joel recently told Vulture. [Insert gasp.] “Then I just thought, nah.” [Insert whew.] Passively influential, aggressively repackaged, Joel has managed to maintain a presence in the pop consciousness despite not dropping an original album since 1993’s “River of Dreams.” A good part of that is because the Piano Man continues to knock his live shows out of the park — especially his last four appearances at Fenway Park. On Friday he returns to the park for a fifth at-bat, and a couple hours of hits and giggles for his devoted fans, who for some reason have never been called the Billy Club. Trigger warning! He’s a lot more likely to come swinging for the orange monster than the Green one; so one more time, go easy on that butter, hothead. Tickets here. HEAVY METTLE: So Journey’s been on a journey (meet newish frontman Arnel Pineda!) and Def Leppard has changed its spots over the years (shred in peace, Steve Clark! ), but considering you likely haven’t heard “Pour Some Sugar on Me” and “Don’t Stop Believing” outside of a karaoke context for at least two decades, you won’t get any closer to the source of all that hairspray and distortion than this triple play (another sports metaphor!) on Saturday night at Fenway Park. Did I say triple play? I did! Because I skillfully opted to save the best part of this lineup — Cheap Trick — for the end, even though they’re opening and we’re clearly deep into the timeline where nothing makes any sense anymore, so whatever. Tickets here! GIMME MAHER: “Real Time” host Bill Maher will come eye-rolling through town on Saturday, for “An Evening With Bill Maher” — a phrase I’m pretty sure was the plotline to one of my uncle’s recurring night terrors. (Personally, I’d have gone with “Maher-a-Lago,” but that’s just because I’m a marketing genius.) Lately, Maher has been joking/not really joking about the unfolding calamity of the party of Reagan’s increasingly creepy crouch into the party of Putin, so expect a tense night of anti-humor about the sleep paralysis of American politics! Plus some choice toupee zingers. Tickets here. 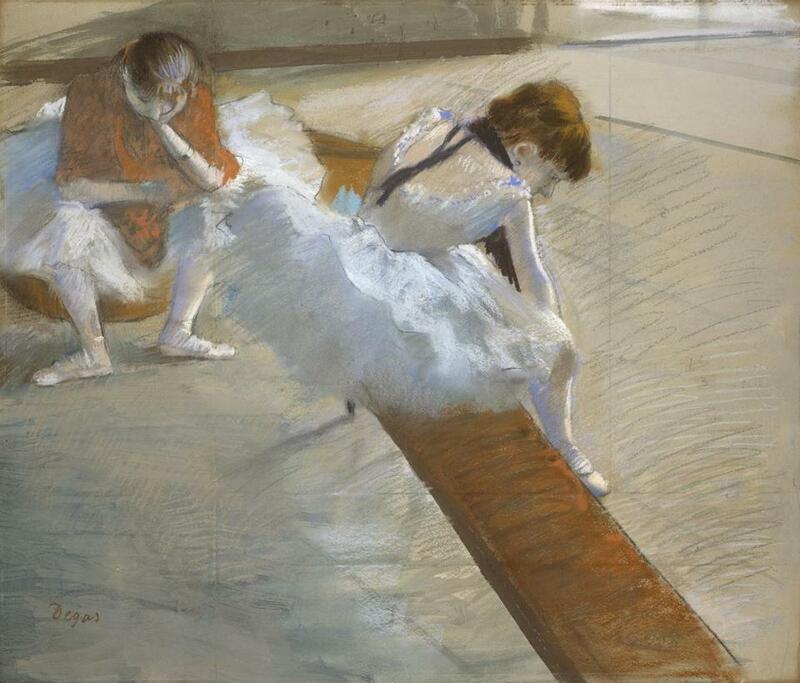 Edgar Degas’s “Dancers Resting” is part of “French Pastels: Treasures From the Vault” at the Museum of Fine Arts. SOFT FOCUS: Reviewer Cate McQuaid calls “French Pastels: Treasures From the Vault” at the Museum of Fine Arts” a “summer rainbow of an exhibition,” and a “rare treat” to behold an entire exhibition devoted to a medium that is “tricky and versatile,” “fugitive and tactile.” This gathering of 38 objects includes works from Jean-François Millet, Edgar Degas, and Odilon Redon. But since pastels are really just dust in the wind, warns McQuaid, “we won’t see these works again soon; because of their fragility, they can be exhibited only once a decade.” Taste the rainbow through Jan. 6 (please do not actually taste). Find more info here. UNSAFE AT HOME: Out west at Williamstown Theatre Festival, you can catch the powerful, Emmy-nominated actress Samira Wiley (“Orange Is the New Black,” “The Handmaid’s Tale”) in “Dangerous House,” a play by Jen Silverman that runs through Aug. 19. Christopher Wallenberg calls it “a riveting new play set in South Africa in which two queer female characters grapple with their country’s hostility toward lesbians and gays and the fear of violence they face every day.” That’s at the ’62 Center for Theatre and Dance, Nikos Stage; find tickets here. HILLS: ALIVE: Also out that way, it’s a busy weekend at Tanglewood in Lenox, as the Leonard Bernstein centennial celebration rolls on with Jamie Bernstein’s tribute to her father’s “Young People’s Concerts” on Friday, with Andris Nelsons and the Boston Symphony Orchestra presenting an hourlong program titled “Why Music Matters — according to Ludwig and Lenny”; on Saturday, John Williams and Nelsons split the evening conducting for the annual Film Night; and on Sunday, Michael Tilson Thomas leads works by Mahler, Rachmaninoff, and himself. Find full program information and tickets here. OR STAY IN! 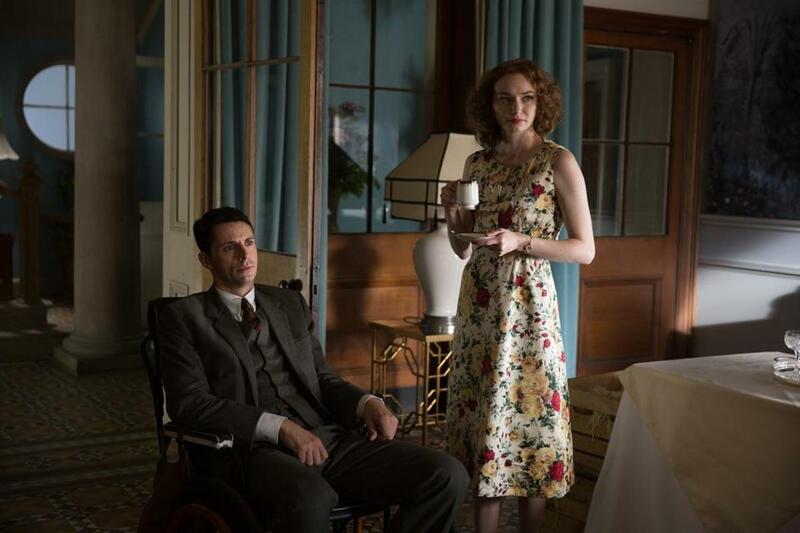 If it’s sofa time you’re seeking this weekend, mystery solved: Go straight to “Ordeal by Innocence,” Amazon’s new three-part BBC adaptation of Agatha Christie’s novel that the Globe’s Matthew Gilbert calls “smart, attractive, and well-acted,” and ticking all the boxes a Christie fan might want in a miniseries — including an ending they won’t see coming. Also streaming starting Friday is Netflix’s new series “Insatiable,” the already controversial show that follows bullied teen “fatty Patty,” who wires her jaw shut, loses weight, and plots revenge. Matthew calls it “a jumble of provocations, half-baked jokes, random cultural satire, farce, bad puns, and attempted campiness that ultimately doesn’t make a unified point.” So there’s that! My tube time will be going to Terence Nance’s visually stirring six-part quasi-documentary series for HBO, “Random Acts of Flyness,” which, according to writer Peter Keough, “explores — via free association, satire, surreality, and giddy inventiveness — what Nance describes as ‘the beauty and ugliness of contemporary American life.’ ” That’s Friday at midnight on HBO. However you decide to spend your weekend, make it one you’ll miss come Monday. See you next week!